Product prices and availability are accurate as of 2019-04-02 15:52:54 EDT and are subject to change. Any price and availability information displayed on http://www.amazon.com/ at the time of purchase will apply to the purchase of this product. 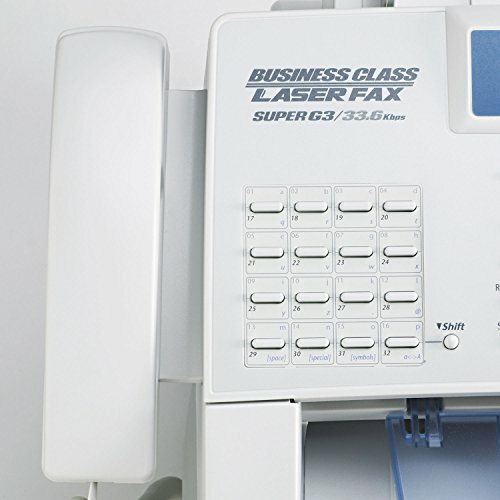 This top-of-the-line fax machine is ideal for any high-volume, multi-user environment. You'll see blazing transmission speeds as fast as 2 seconds per page. Dual 250-sheet paper trays not only help with high-volume applications, but allow you to load separate sizes for flexible printing. Its upgradeable 8 MB memory is suitable for departmental use, with options available for higher-volume network environments. 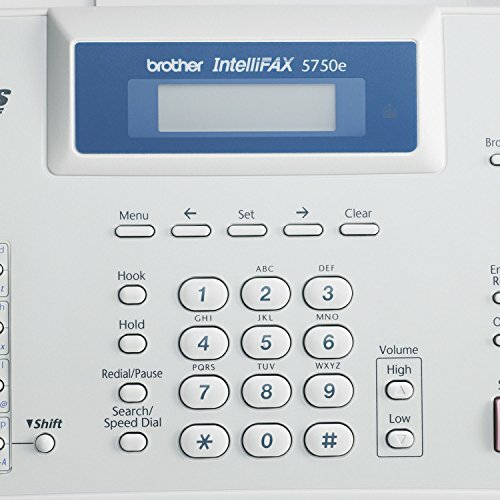 Password protection capability ensures that your incoming faxes remain confidential. 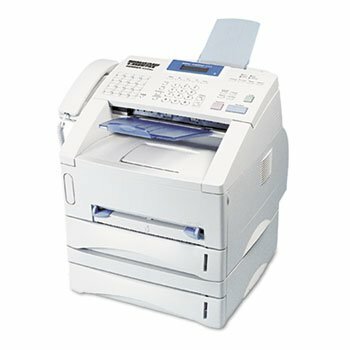 The advanced laser engine provides professional output with every page. 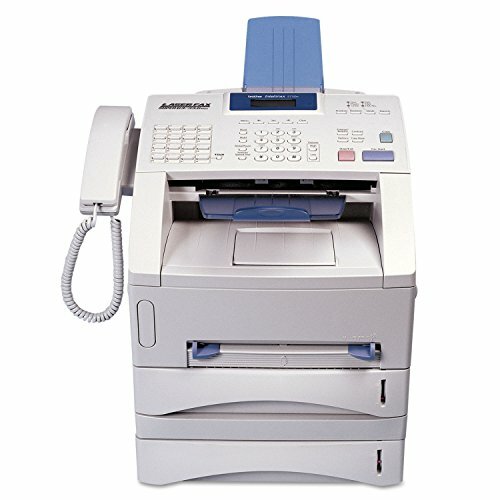 Machine Functions: Copy; Fax; Print; Printer Type: Laser; Maximum Print Speed (Black): 15 ppm; Network Ready: Yes.